Cox Business Northeast held the first-ever “Smart Technology. Smarter Businesses” tour on Thursday, September 6 in Rhode Island. Cox Business customers are ground-zero for demonstrating how smart technology impacts their operations, employees and the bottom line, making the participating businesses ideal venues for showcasing Cox Business technology at work. In addition, the day provided the opportunity to recognize local STEAM organizations for their role in building smart communities through training the workers of tomorrow, with three organizations receiving $2,000 grants from Cox Charities on behalf of the recognized businesses. These groups included the North Providence Marine Trades After-School Program; YearUp Providence; and the Highlander Charter School. American Mussel Harvesters, one of the largest producers of mussels in North America, as well as oysters and clams. They align strategically with independent shellfish farmers to market their products. They specialize in authentic brands of restaurant-ready live shellfish. Envision Technology Advisors offers consulting and IT services, cloud and managed services, platform partnerships and managed innovations to help businesses of all sizes succeed. Hope & Main is a food and restaurant incubator that helps local entrepreneurs jump-start early-state food companies and food-related businesses by providing low cost, low risk access to shared-use commercial kitchens and other industry-specific technical resources. The featured businesses leverage Cox Business solutions in unique ways. From Cox Business Security to high-speed internet, each company’s deployment delivered results that ranged from saving money and improving operational efficiencies to preventing fraud and rolling out new, cutting-edge services. Cox is committed to building smart cities across its entire footprint, and that includes smart businesses, smart homes and smart government. These organizations have taken their core technology assets to improve their businesses as well as the customer experience. 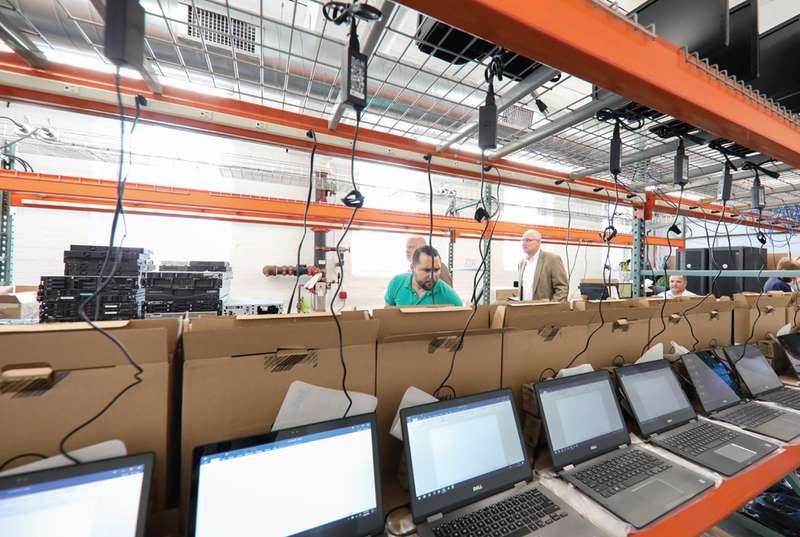 Their successes are ones that employees and customers can be proud of – and Cox Business is excited to grow the roster of smart businesses across the enterprise. Overall, the “Smart Technology. Smarter Businesses” tour culminated in a great day showcasing the strong partnership between Cox Business and its clients through a customized look at how Cox Business can best support their business operations and growth.